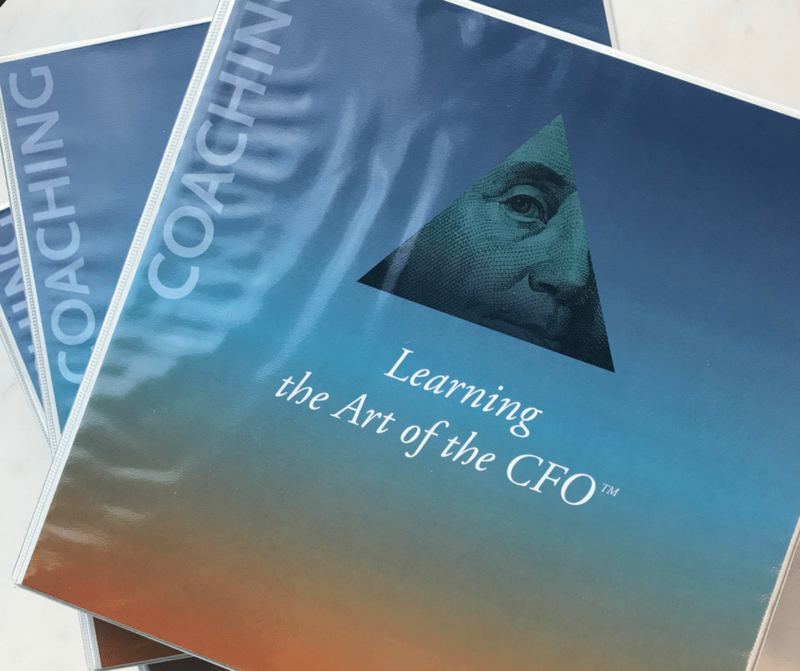 The Strategic CFO™ provides the Financial Leadership Program with topics created exclusively for the financial leaders of entrepreneurial companies (entrepreneurs, CEOs, CFOs, and controllers) who are responsible for driving profits and cash flow. 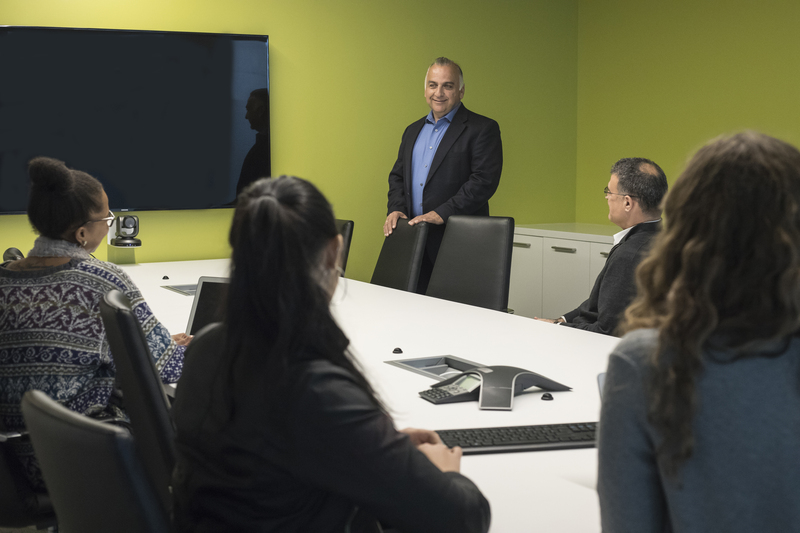 The purpose of the workshops is to develop the financial strategies, tactics, and leadership skills required for individuals to become more valued members of their organization, thereby taking themselves, and their companies, to the next level. See your role from a different perspective and, in turn, present yourself as a valuable financial leader, not just a number-cruncher. There are no prerequisites to be a participant in our Financial Leadership Workshop. We do also offer CPE credits (9 CPE credits per class – 36 total CPE credits). Please contact us for more information about that. Who is the current financial leader in your company? Often, it is the entrepreneur or CEO. They are regularly the only one who is responsible for the profitability of the company. They need help! 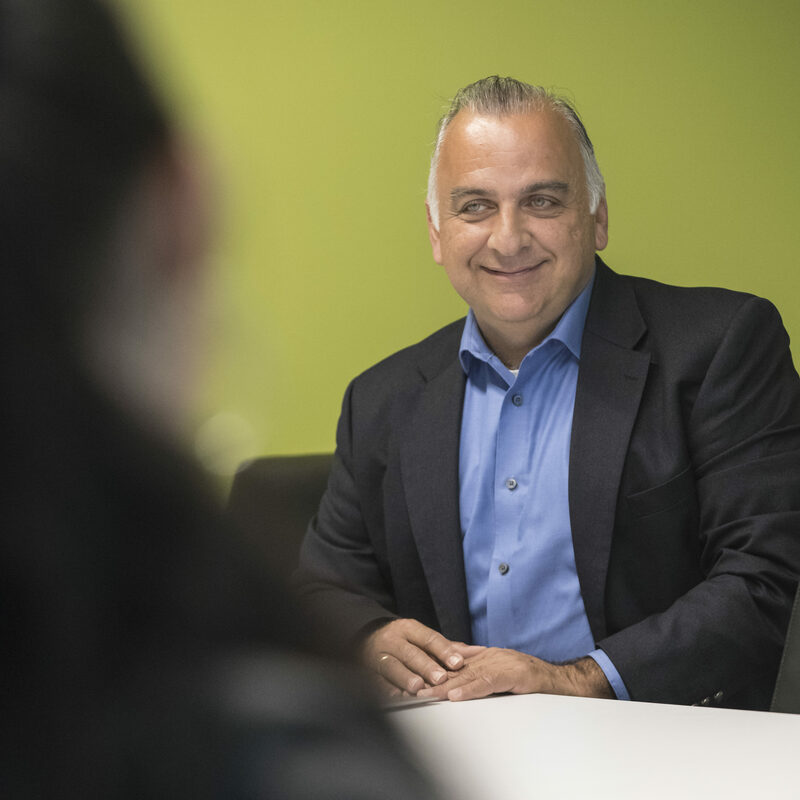 We solve the challenges preventing accelerated growth in your career, whether you're the CFO, CEO, or aspiring to a similar position, by compacting years of experience into coaching workshops. Learn more about our Financial Leadership Workshops and get your questions answered. The financial executive coaching workshop series consists of 4 days, 1 per month for 4 months. Each day has specific content that allows the participant to immediately put the learning to use and return a month later to soak up new topics. 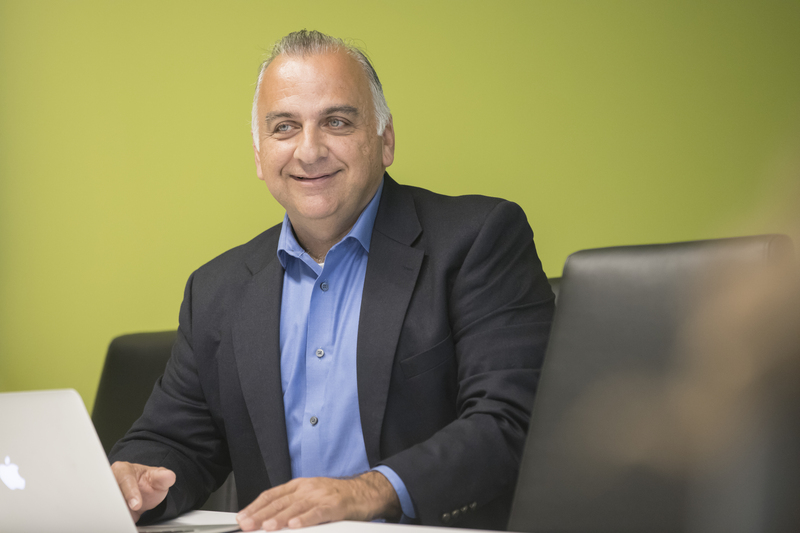 We select our learning topics based on two pieces of criteria: (1) what we know a financial leader wants and needs and (2) lack of common awareness and understanding in the financial industry. On the second day of the series, we focus on improving profit. Typically, financial professionals look to cutting costs to improve profit. You'll learn other methods that will enable you to be more of a strategic leader in your organization. Experience their success for yourself! Get more details by clicking the button below. We bring on new participants four times a year. The dates of the upcoming workshops below are opportunities to enroll in an upcoming 4-day, 1 workshop per month class. Select a workshop from the upcoming options below to see the exact dates for all 4 classes. * Registration is now open. If you are interested in signing up for the next series, then contact us here to get registered. The Financial Leadership Workshop cost is $4,000 per participant for the classroom setting. It is $8,000 for the one-on-one workshop. If you would like for the custom one-on-one workshop to take place at your location, then we will include reasonable travel expenses. We request a 50% deposit up front to hold your seat. The other 50% is due 10 business days prior to the first workshop. As we have developed the Financial Leadership Program, we learned that there are many businesses that either cannot afford a classroom experience or are too far from the Houston classroom. We are now offering a self-study experience where individuals will receive the same material and can set their own pace. Also included is a tutorial of specific things you should be looking at in each section of each day. 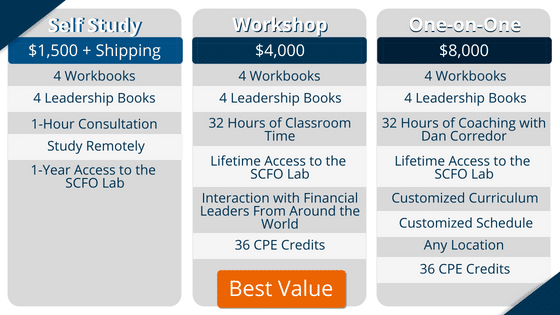 The price of the Financial Leadership Workshop Self Study is $1,500 plus shipping. Click here to learn more and order your Financial Leadership Self Study. CPE credits are also available for the Financial Leadership Workshop Self-Study upon completion of a survey. Find our most frequently asked questions about the Financial Leadership Workshop here. He understands businesses at every stage of the life cycle, further guiding participants in their unique situations.